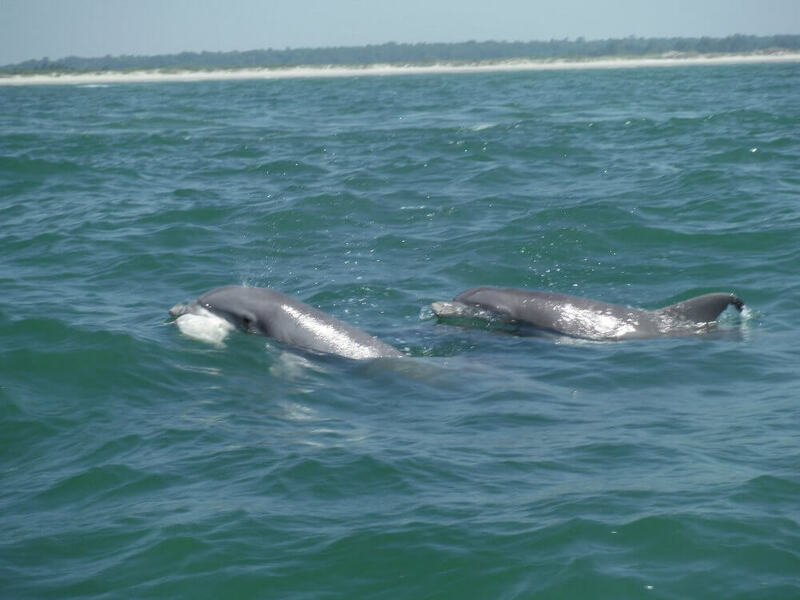 Take a relaxing, scenic Dolphin Watch Trip on a brand new jet ski! Our experienced and knowledgeable guides will lead you safely to the best possible viewing areas to see the local wildlife, dolphins and sea turtles. Jet Ski Dolphin Watch Trips begin at Dock Holiday Marina on the Intracoastal Waterway. Here, you will receive professional and personal service from the moment you arrive. First, you will be given safety instructions for the proper use of the Jet Ski while out on the water. Then, you’ll get hands on operating instructions of the Jet Ski . Once we get everyone comfortable and ready with their personal water craft, it’s time to leave the docks. As we leave, you will see beautiful Intracoastal Waterway homes and the Historic Little River Swing Bridge. We’ll slow down to idle speed through the NO WAKE zone. Once we pass thru the Swing Bridge, we will be approaching Harborgate Marina and Anchor Marina. Inside these marinas, you will see boats from 10′ John boats to 70′ luxury yachts. Once out of the no wake zone, we’re on our way. It‘s time to BURN some octane!! As we approach Historic Little River Fishing Village, we’ll slow down to idle speed through the NO WAKE zone to check out a variety of boats including Shrimp Trawlers, Commercial Fishing boats, and even a couple of Casino boats. That’s enough of the no wake zones. Its time for more gas. We are on are way to the barrier island and the Atlantic Ocean. Once on the Barrier Island, you can stroll along the beach, searching for that special shell to take home. Or, you can explore the 30 foot tall sand dunes, but steer clear of the dune grass, they have sharp sand spears that will stick to your feet and hands and they’re illegal to tamper with. 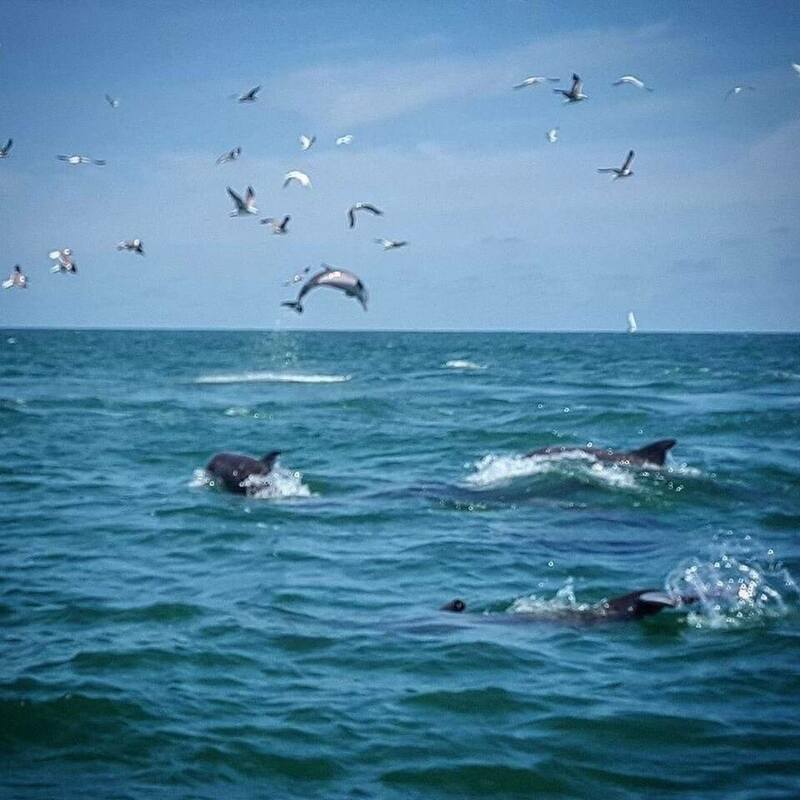 After about 20 minutes of serenity on the island, it’s time to get back on our skis and head out to the beautiful Atlantic Ocean (conditions permitting) to get the up close and personal encounter with the Atlantic Bottlenose Dolphin! If your guide has found the dolphins, he/she will very, carefully guide you close to the pod. You will be able to see the most respected aquatic mammal in its natural habitat. Sit back and enjoy the natural beauties that are found along the waters of the Grand Strand. 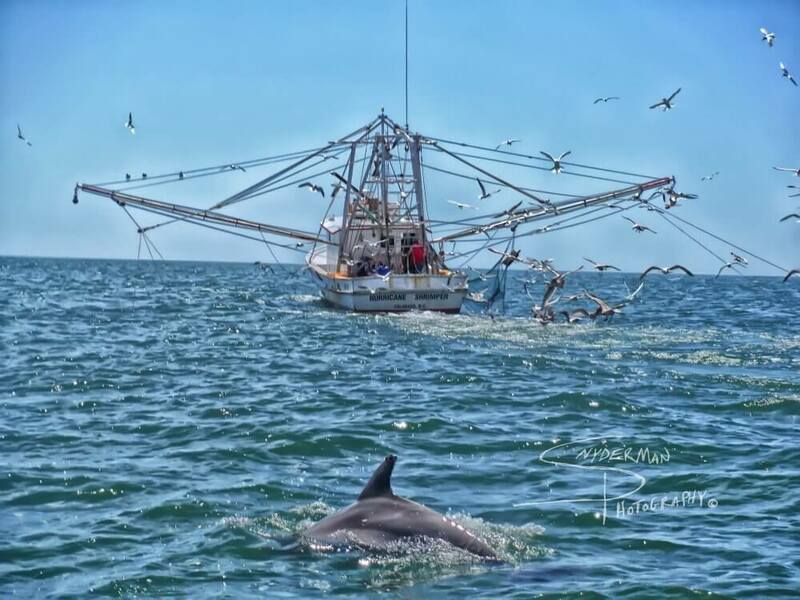 The trip lasts about two hours and it is a unique way to explore the Grand Strand from the water. These trips have become a part of many families’ annual trip because of its uniqueness, and the memories it creates. Please be sure to book at least a day in advance. We want to be sure you don’t miss out on this memorable, beautiful, and exciting experience.